If you have a cyclist in your life, you know what a picky bunch we can be. That makes most cyclists hard to buy for, but here are some sure-fire gifts that nearly every rider can appreciate. While cyclists can be a fickle bunch and more often than not have certain idiosyncrasies, there are definitely things that make great gifts—things that most cyclists can’t get enough of. The key is knowing the culture and the rider’s style, which we’re here to help with. While you may need to know a little bit about the type of riding your cyclist does—are they a roadie or a mountain biker?—these gift ideas are generally solid choices across the board. In the cycling world, we have something called sock doping. Really, it’s all about getting the dopest, wildest, or just generally coolest socks you find. Plain black is always a good choice, but if you can find a vibrant pair with, I dunno, sushi on it? Dude. Get it. Of course, you have to keep in mind your cyclist’s preferred length—if they generally wear no show socks on the bike, then sock doping probably isn’t something they’re interested in. Most road cyclists prefer a sock of around four inches in length, perhaps a bit longer if they have long legs. But as long as they wear longer socks, you really can’t go wrong with a killer pair. The most important thing to note here, however, is the material: never, ever buy cotton socks for a cyclist. Socks designed specifically for cycling (or other athletic activities) are made to pull moisture away from the feet, which is very important. Cotton holds moisture against the skin, which can lead to all sorts of problems. 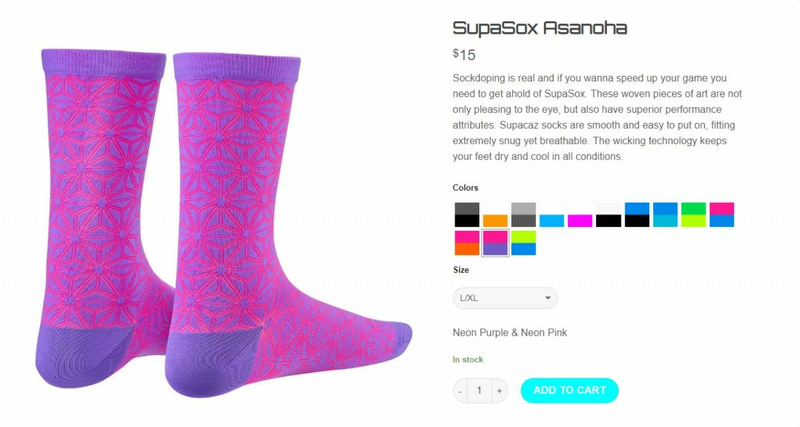 Swiftwick: This company claims to make “the best socks you will ever wear,” and this writer tends to agree. Not only are they excellent socks, but they’ve recently upped the #sockdoping game with some clean, yet noticable designs. DeFeet: If you want some killer looking socks that aren’t overly expensive, DeFeet has you covered. They have tons of different designs to choose from. Supacaz: Supacaz is a company that makes all sorts of cool accessories, but is most known for its bar tape. Still, they have some insanely cool socks to choose from. Another great piece of kit that is right up there with a good looking pair of socks is a pair of gloves. Most cyclists ride with some kind of gloves, though you’ll probably need to pay attention to what they’re already wearing—most cyclists have a preference for either fingerless for full-finger gloves. The only thing you’ll need to keep in mind here is for full-finger gloves: many of them are designed for cold weather, so if the idea is to get something they can ride in the warmer months, make sure you’re not buying winter gloves. Other than that, go crazy! 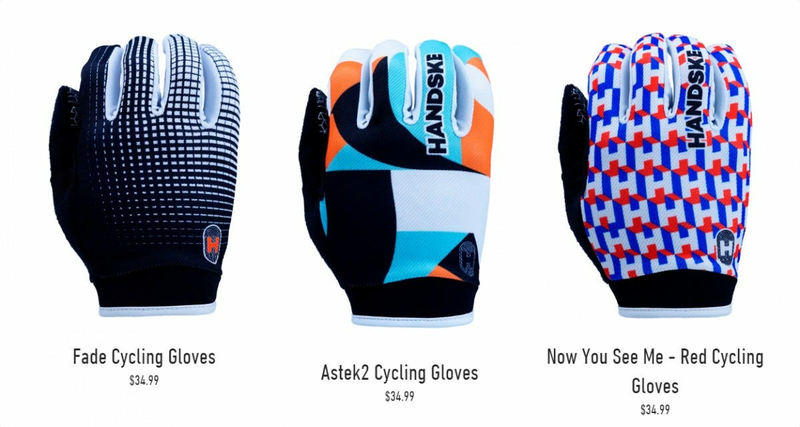 Handske: This is a relative newcomer to the glove game, but it’s putting out some of the best looking, most well constructed gloves on the scene right now. Very good quality for the money. Lizard Skins: While mostly known for its bar tape, Lizard Skins also makes some absolutely killer gloves for both road and mountain riders. The Monitor is my personal favorite, but they’re all great. Supacaz: I know we’ve already mentioned them once before, but the SupaG and SupaG long are too cool to not mention. 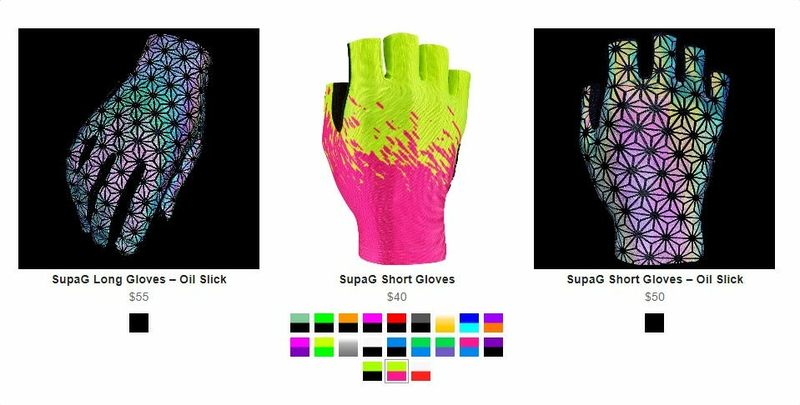 And if you really want to get something awesome for a cyclist who rides into the night, the Oil Slick gloves are the some of the coolest out there. Eye protection is pretty important when out on the bike—not just against the sun, but also bugs and debris that flies up from the road. Gotta keep them peepers covered. And while any pair of gas station sunglasses are better than nothing, a good pair is, well… better. The biggest benefit that comes from a good pair of athletic sunglasses is ventilation: they breathe better, which not only keeps the face cooler but helps prevent from fogging up at every stop. That’s important. A lot of sports sunglasses also come with removable/interchangeable lenses, which makes them useful in a variety of environments. 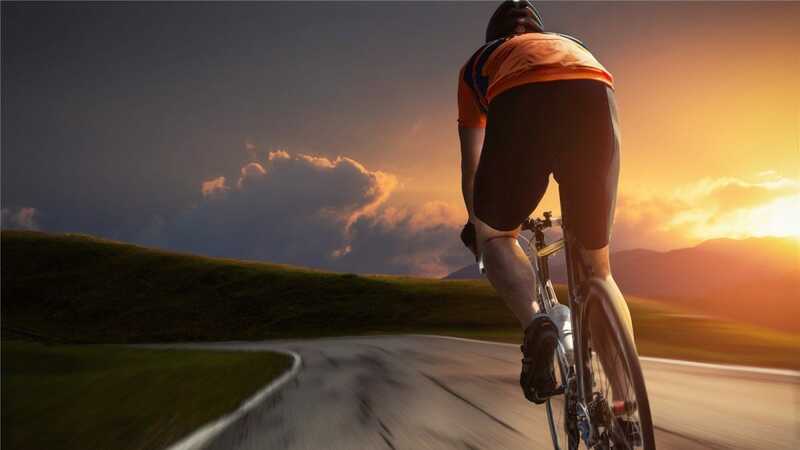 For example, if a ride starts in the evening and runs into the night, dark lenses may be required at the start of the ride, but clears (or yellows) are needed after the sun sets. 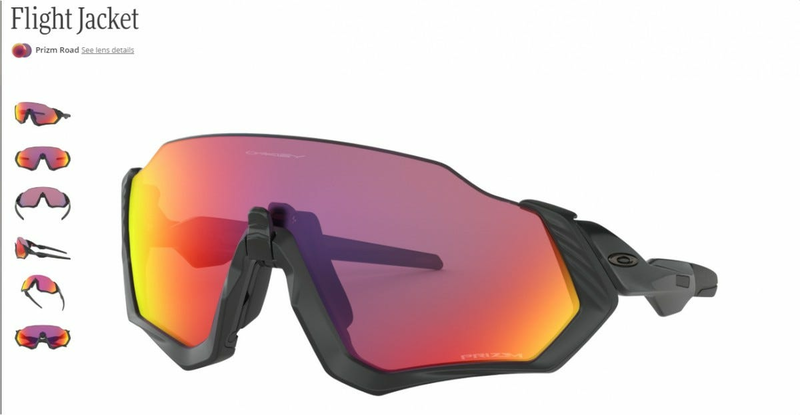 Oakley: The odds are you’ve already heard of Oakley, because it makes some of the finest sunglasses available. There is a premium price that goes with that quality, however, as some of these will set you back $200 or more. Ouch. Tifosi: If you’re looking for great glasses that won’t break the bank, Tifosi is where it’s at. For the money, these are some of the best sunglasses you’ll find. It may not seem like something that would make a good gift, but nutrition on the bike is very important. If you know what your cyclist likes to eat or drink on the bike, they’ll absolutely appreciate having some extra on hand—especially if you buy an entire box. Gu Energy: This is sort of the go-to quick fuel for most cyclists. There are a slew of flavors to choose from, too. Honey Stinger: This company makes a variety of high-quality products chock-full of everything a cyclist needs to stay energized on the bike. Skratch Labs: If you were to ask me what my absolute favorite bit of cycling nutrition is, I would undoubtedly say Skratch. Their hydration mix is the best I’ve personally used, though they also make other products too—like waffles and chews. If your cyclist is the type who likes to learn more about nutrition or cook their own food, a book about nutrition or cycling cookbook are also great choices. If I had a dollar for every time I heard a fellow rider say something about sweat dripping in their eyes, I’d have… several more dollars than I do right now. Sweat-in-the-eyes isn’t a life that anyone wants to live, and there are a couple of excellent products to keep this from happening. 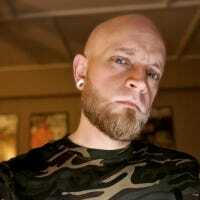 Halo Headbands: Halo headbands aren’t your typical sweatbands—they have a little rubber strip on the inside that literally channels sweat away from the eyes and down the sides of the face. It’s brilliant and works really well. They also come in a few different styles and tons of colors. SweatHawg: If I had to choose one piece of cycling apparel I’m not sure I could live without, it’s the SweatHawg. They make all sorts of different products, including regular sweat bands and skullcaps, but my favorite is the helmet liner. It’s the best thing I’ve found to keep the sweat out of my face—even in Texas where the temperatures can easily hit 100+. If you’re not into any of the other suggestions on this list, here are a few quick-hit items that may fit the bill. Multitool: Every cyclist needs a good multitool. And if they have multiple bikes, they probably need multiple multitools. This one from Fabric is great—lightweight and has everything most riders need. A subscription to Bicycling Magazine: Most riders love reading about cycling and new products, and Bicycling magazine is an excellent resource. There’s also Cyclocross Magazine and Mountain Bike Action if your cyclist has a specific discipline. Bidons: Some people call them water bottles, but on the bike they’re called bidons. And if there’s one thing you can’t really have enough of, it’s bidons. They come in a variety of shapes and sizes, as well as insulated or not. There are a lot to choose from, but if you’re looking for something unique and classy, check out these options from Abloc. A gift card to the local bike shop: If you’re just not sure what to get for the cyclist on your list, it’s hard to go wrong with a gift card to the bike shop. This way they can buy whatever they need and you hooked them up with a great gift. It’s a win-win.